Does your business need Cyber Protection? If your business has any of the following characteristics, you are vulnerable to a Cyber Breach. Do you engage external partners or vendors? Do you accept credit cards or other online forms of payment? Do you store confidential customer, partner, or other digital information? What happens if your company gets hacked and you do not carry Cyber Insurance? Your business insurance policy probably does not protect your company from damages caused by being hacked. What kind of insurance is needed to cover damages caused by a hack? A business needs to obtain Cyber Insurance that covers First Party Cyber Coverage and Third Party Cyber Coverage. Below are the exposures of First-Party Cyber Coverage and Third Party Cyber Coverage. Please feel free to call my office at 201-460-8400 ext. 302. We would be happy to discuss your company’s insurance needs and provide a competitive solution. 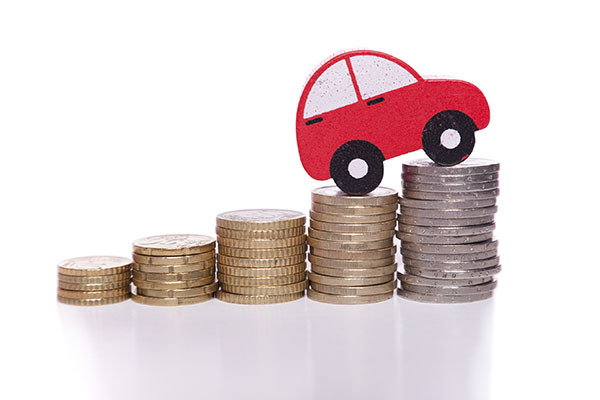 MERWIN & PAOLAZZI INSURANCE AGENCY, INC.
What is happening with Auto Insurance costs? The Consumer Price Index (CPI) for Auto Insurance is up 21.5% since 2012. It is the largest 5 year growth of Auto Insurance cost in the last 24 years. The driving force in the upward march in premiums is the Auto Industry is finding it difficult to sustain a profit. In 2016, the average combined loss ratio for the nation’s 10 largest personal auto insurers increased to 107.1%. meaning the major insurers lost 7% for the year ending 2016. Why are the costs for Auto Insurance increasing? The major Personal Auto Insurance Carriers are unprofitable due to increases in cost of frequency losses as well as increases in cost severity. The frequency cost is being impacted by driver error from the increased misuse of electronic devices such as Cell Phones, Texting, Laptops, IPad or any other electronic devise while operating their vehicle causing the operator to take their eyes off the road. The increase in the severity of the auto claims has to do with the increased cost to repair a vehicle due to all the new censors and safety equipment to make cars more Self Autonomous. In today’s auto body repair world, not only is the body shop repairing the physical damage to the car, there is the additional cost to repair the electronics and program the computer in the car. What can you do to control you Auto Insurance cost? Contact our insurance agency and let us review your current program and provide solutions and recommendations to control your insurance costs for your personal insurance needs. It is very possible your personal automobile policy will not provide coverage while you are providing Ride Sharing services. The typical personal automobile policy excludes coverage for business use via a personal vehicle. Ride Sharing is a transportation service. It is the sharing of private motor vehicle transportation with another person or persons. The driver of the vehicle receives a fee for their service and the passenger gets an inexpensive ride to their destination. WHERE IS THE STATE OF NEW JERSEY LEGISLATIVELY ON RIDE SHARING? February 2017 Governor Christie signed legislation on Ride Sharing to fill in some of the coverage gaps with Ride Sharing. Under the new law, once a transportation network driver (Uber, Lyft driver) is logged into the TNC application and is available to receive a prearranged ride but is not providing a prearranged ride, the coverage provided is $50,000 for death or bodily injury per person, $100,000 for death or bodily injury per incident and $35,000 property damage. In addition, personal injury benefits and uninsured/underinsured motorist coverage is provided to the extent required under the current law. When the driver is providing a prearranged ride the coverage requirements increase to $1.5 million for death, bodily injury and property damage. Insurance for medical payments benefits in the amount of $10,000 must also be provided. THE COVERAGE GAP ON YOU PERSONAL AUTOMOBILE POLICY EXISTS WHEN? The gap in coverage exists under any circumstance when the insured is logged into a transportation network application platform, whether or not a passenger is occupying the vehicle. WHAT SHOULD YOU DO IF YOU PROVIDE RIDE SHARING SERVICE? 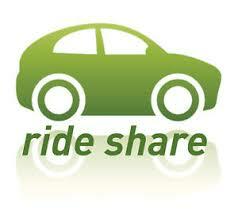 It is always best to contact your current agent and inform them that you are providing Ride Sharing services. They should be able to respond to the different Ride Sharing situations. In closing, we would be happy to provide coverage quotations and recommendations to close the coverage gaps that currently exist. Purchasing the homeowners insurance that is right for you and your home can be confusing, especially for first-time buyers. By learning the basics on how to get the most for your money, you can save on your homeowners insurance and feel confident you have adequate coverage. Merwin & Paolazzi would like to offer these tips to lead you in the right direction when you purchase your homeowners insurance. Shop around. In addition to considering friends, family, the phone book or the Internet as possible sources to find homeowners insurance, consult with an independent insurance agent. Look for a wide range of prices from several companies. Remember, you get what you pay for, so look for not only a fair price but excellent service as well. Check a company’s financial rating with A.M. Best or Standard & Poor’s. Raise your deductible. Companies generally have deductibles (what you pay before your insurance policy kicks in) starting at $250. By choosing a higher deductible ($500, $750, $1,000 or higher), you’ll have lower annual premium payments. 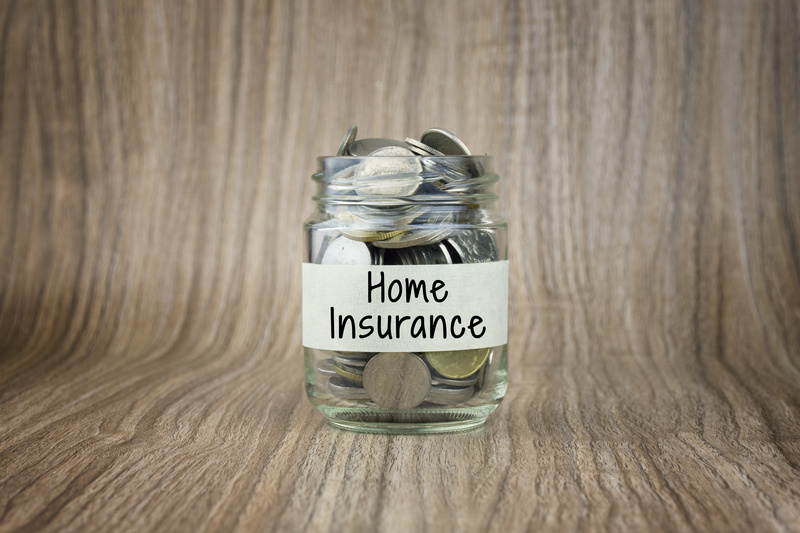 Consider how much insuring a new home will be. The age of your home may qualify you for savings because plumbing, heating and electrical systems of newer homes have lower risks than outdated systems. Construction of the home (brick versus wooden frame) can affect your cost as well, depending on your home’s location. Also, if you live near your local fire department, your homeowners rates might be lower than if you are many miles away. Insure your home, not your land. Since homeowners policies don’t provide protection for your land, it would be a waste of money to include its value as part of your dwelling coverage, which should only reflect the price it would cost to repair or replace your home’s structure. Insure your car and home with the same company. You can save money if you have more than one type of policy with the same insurance company. The more good business you give the company, the more valuable you are as a customer. Improve home security and safety. If your home has certain types of fire alarms, burglar alarms, locks, or smoke detectors, you’ve reduced your risk and may qualify for a credit. Look for senior discounts. If you are at least 55 years old and retired, your insurance company may offer you a discount. Retirees often spend more time at home and are more likely to spot trouble and prevent a loss. Look for group coverage. Many insurance companies offer discounts to groups such as alumni or business associations. Check with your association director or employer to see if they offer a plan. Stay with one insurer. 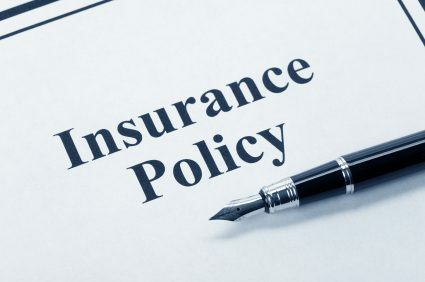 If you keep your coverage under one insurer for several years, you may be offered a discount from the company. The longer you are a customer, the more money you will likely end up saving. Compare the limits in your policy to the value of your possessions at least once a year. If you make any major purchases or additions, you want to ensure they will be covered, but you do not want to spend more than is necessary. It’s that time when many begin to think about what they might want to accomplish in the New Year. Considering that 83 percent of all fire deaths in the United States happen in homes, the U.S. Fire Administration (USFA) is urging everyone to include some safety resolutions to keep their 2016 a healthy and fire-safe year. 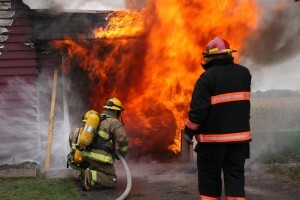 Home fire safety is very important to us, especially home fire safety in Bergen County NJ, our home. Make sure your home is protected by working smoke alarms. Half of all home fire deaths happen at night, when people are sleeping. Test your smoke alarms once a month, and replace your smoke alarms when they’re 10 years old. Cooking is the main cause of home fires and home fire injuries. Make safety your first ingredient; stay in the kitchen when you are cooking at high temperatures. Fires start when the heat gets too high. If you see any smoke or grease starts to boil, turn the burner off. Candle with care. Unattended candles are an obvious fire danger. When you leave a room, blow out the candle. Or consider using flameless candles. If you have children living in your home or visiting look for fire and burn dangers from their point of view. Never leave lighters or matches where children can reach them. Practice fire drills at home. More fires happen in the home than they do at school, yet fire drills are practiced monthly at learning institutions. Select a meeting place. Discuss what to do about windows. And instill in children never to hide when there is a fire. The above is an excerpt adapted from the article, “SFD: Fire safety should be among your New Year’s resolutions.” For more information, please visit www.scottsdaleaz.gov. 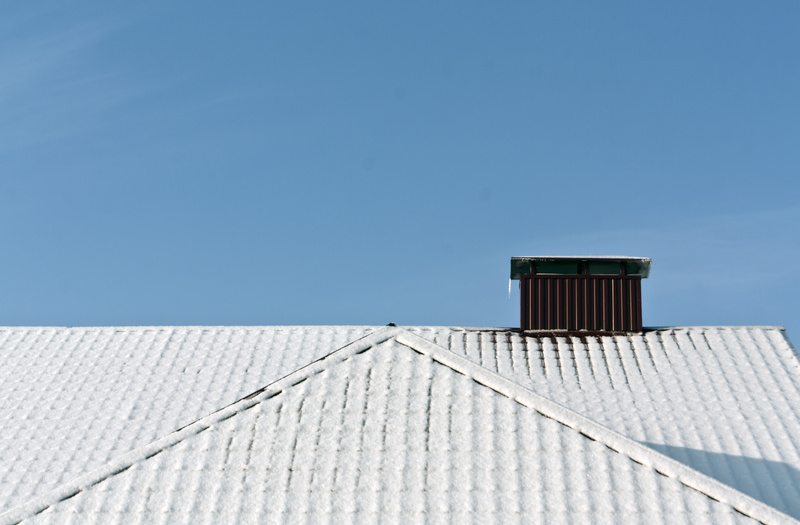 Your roof and attic should be inspected for proper ventilation and insulation. Keep snow from accumulating on the lower three to six feet of your roof. Use specially made roof rakes to safely remove the snow. Purchasing the homeowners insurance that is right for you and your home can be confusing, especially for first-time buyers. By learning the basics on how to get the most for your money, you can save on your homeowners insurance and feel confident you have adequate coverage. Merwin & Paolazzi would like to offer these homeowners insurance savings tips for Bergen County NJ residents to lead you in the right direction when you purchase your homeowners insurance. 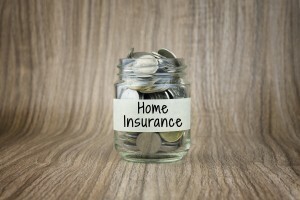 These Homeowners Insurance Savings Tips For Bergen County NJ residents will help you save money and time. Please contact us with any questions. Establishing a safe and healthful working environment requires every employer – large and small – and every worker to make a NJ Business Safety & Health Program a top priority. The entire work force – from the CEO to the most recent hire – must recognize that worker safety and health is central to the mission and key to the profitability of a company. OSHA’s job is to provide leadership and encouragement to workers and employers to take that responsibility seriously. We continue to help employers and employees in NJ focus on reducing injuries, illnesses, and fatalities and to increase their commitment to improved safety and health. OSHA can help small businesses and others through a variety of tools, including partnership, consultation, compliance assistance, education and training, outreach, and plain language regulations. Why is a safety / health program important for a small business owner like me? Safety is good business. An effective safety and health program can save $4 to $6 for every $1 invested. It’s the right thing to do, and doing it right pays off in lower costs, increased productivity, and higher employee morale. As an employer, you have a duty to protect your workers from injury and illness on the job. Protecting workers also makes good business sense. Accidents and injuries are more expensive than many realize. Costs mount up quickly. But substantial savings in workers’ compensation and lost workdays are possible when injuries and illnesses decline. The Occupational Safety and Health Administration (OSHA) can help you. 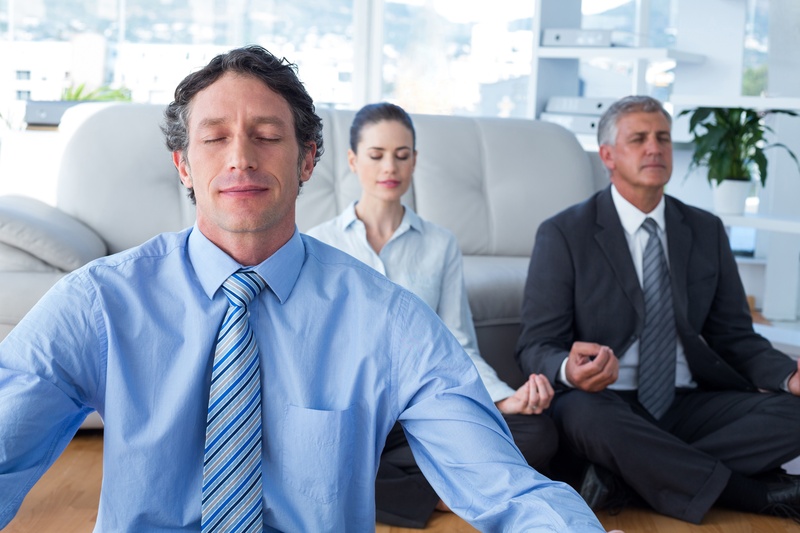 How can I reduce employee injuries and illnesses? Compliance with OSHA rules is essential. Compliance along with an effective voluntary safety and health program can help reduce your costs and injuries and illnesses. An organized, carefully crafted plan that systematically focuses on workplace hazards and employee training is critical. Buy-in from every manager and employee is essential. Everyone has to work at safety and health. How do I develop this program? Each safety and health program should be tailored to fit the company, to blend with its unique operations and culture, and to help employers maintain a system that continually addresses workplace hazards. There are five elements that every effective program should have: management leadership and employee participation, workplace analysis, hazard prevention and control, safety and health training and education, and program evaluation. What do you mean by management leadership and employee participation? Show your commitment by investing time, effort, and money in your safety and health program. This is an excerpt from the article “Q & A’s for Small Business Employers”. For more info, please visit www.osha.gov.